The short story that is The Adventure of the Beryl Coronet sees Sherlock Holmes dealing with a case of theft, although it is a delicate matter for the consulting detective to deal with. Arguably, more important than solving the case is proving that the chief suspect is innocent, and Holmes shows that the most obvious suspect is not always guilty. 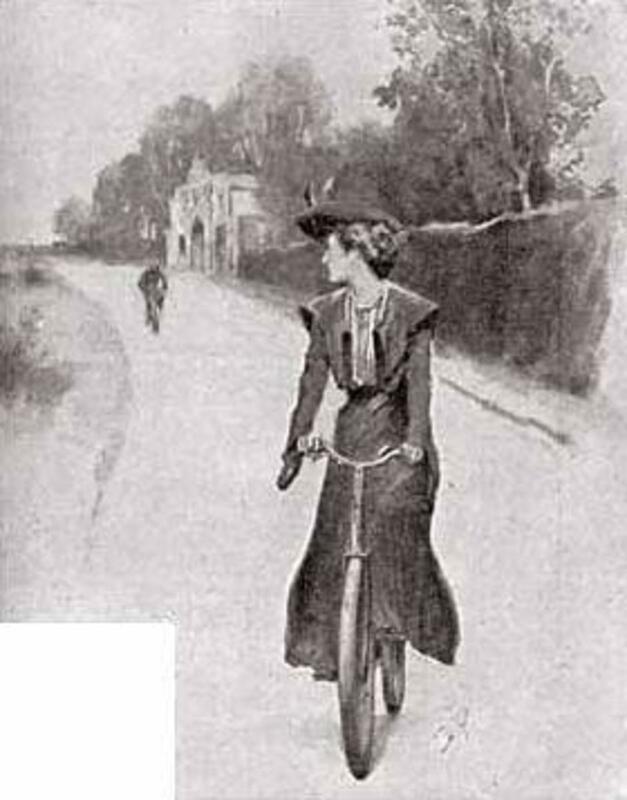 The Adventure of the Beryl Coronet was written by Sir Arthur Conan Doyle for the May 1892 edition of the Strand Magazine; the short story published a month after The Adventure of the Noble Bachelor. The Adventure of the Beryl Coronet was the eleventh short Sherlock Holmes story written, out of a total of 56 short stories, and it, along with eleven others, would make up the compilation work, The Adventures of Sherlock Holmes, also published in 1892. The Adventure of the Beryl Coronet is one of the stories from the canon of Sherlock Holmes that is often overlooked, and yet it is a story in keeping with many other Conan Doyle stories. Indeed, there is cause for the detective to don a disguise, and even solve the case for the client with a dramatic flourish. The case of the Beryl Coronet is brought to Holmes by Alexander Holder, a banker who had been entrusted with the precious crown. A theft had occurred, and some of the precious stones were missing; there seems to be only one suspect for the theft, Arthur Holder, Alexander’s son, as Arthur was apparently caught in the act. Holmes of course, looks beyond the obvious to discover the real solution to the case; with Holmes observing, rather than simply seeing. Making the obvious solution not the correct one, was something that many other crime writers have subsequently taken up. Agatha Christie indeed was famous for making Inspector Japp and Captain Hastings take the obvious as read, whilst Poirot would use his “little grey cells”. The Adventure of the Beryl Coronet is perhaps overlooked because it was not one of the Sherlock Holmes stories adapted by Granada TV, with Jeremy Brett starring as Holmes. The short story though, did make an appearance as an episode in the 1965 BBC series of Sherlock Holmes, airing on the 10th April 1965, with Douglas Wilmer in the lead role. Boredom is starting to set in at 221B Baker Street, with nothing to keep Holmes interested. Watson, to pass the time, has taken to observing the world from the Baker Street windows. 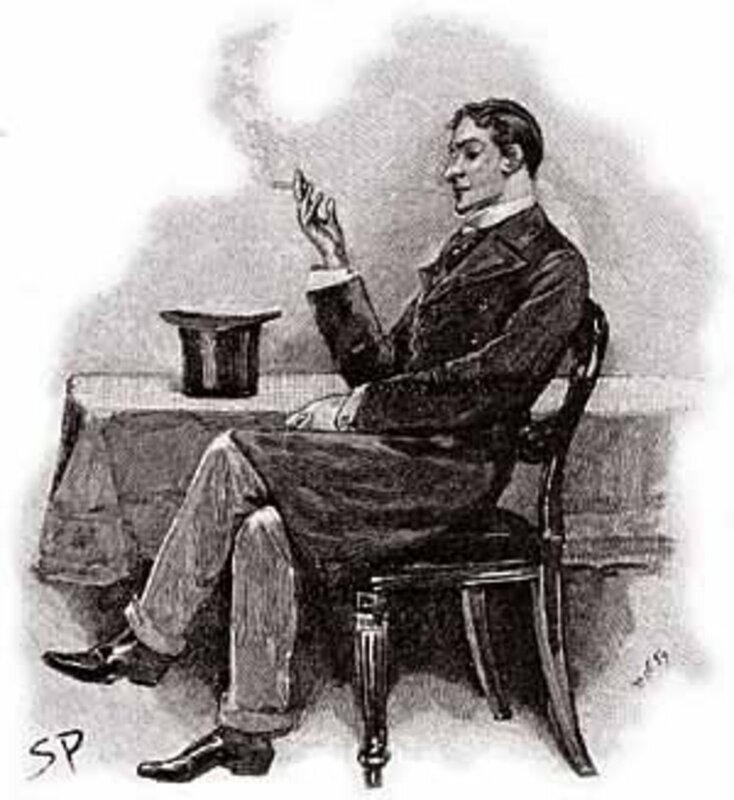 Watson’s attention is drawn by the actions of a madman, but Holmes’ interest is piqued, as he sees, not a madman, but a potential client in an agitated state. Soon the agitated man is admitted to Holmes’ rooms; the man being Alexander Holder, a wealthy banker, and partner in one of London’s most prestigious private banks. Holder has been directed to Holmes because of the sensitive nature of the problem that the banker is faced with; and Holder explains the predicament he faces. A prominent individual has taken out a loan with the bank for £50,000 (a sum of about £4 million today), and as collateral for the loan has handed over a beryl coronet. 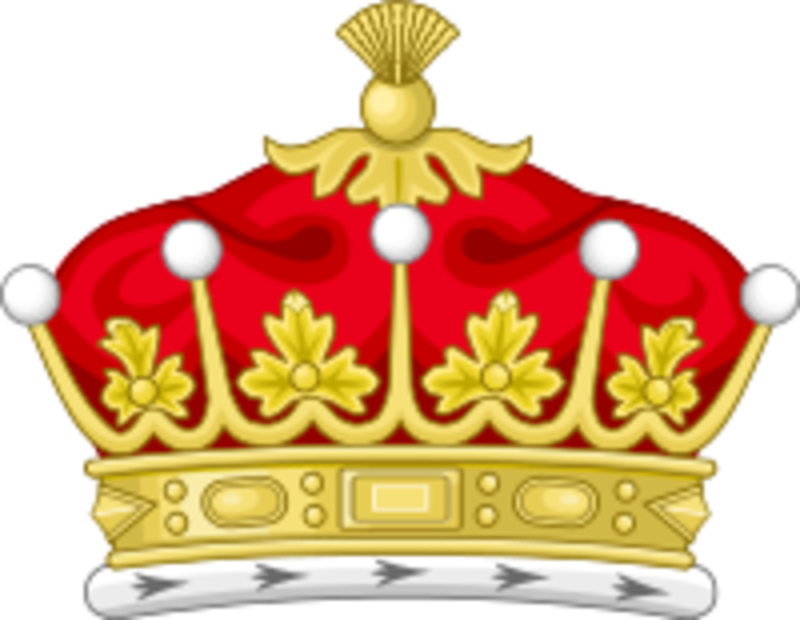 The coronet is a type of crown worn by the English nobility at ceremonial events, and the example offered as collateral contained 39 beryl stones (possibly green emeralds), and was said to be worth twice the value of the loan. Due to the value of the coronet, and the fact that the loan was only been taken out for a few days, Holder decides to keep the coronet safe in his own home rather than the bank. So, the beryl coronet is locked away in a bureau in the dressing room of Alexander Holder. Holder trusts his household; a household that comprises his son Arthur, his niece Mary, and six trusted servants, although one of the servants, Lucy Parr, is new. Arthur and Mary though, are the only people informed of the coronet being put in the bureau. The interactions between household members are interesting, and Arthur is regarded as somewhat of a rogue, and is known to have relatively large gambling debts, and is often proposing marriage to Mary. When told of the coronet, Arthur though, had tried to warn his father about the insecure nature of the bureau, but Alexander refused to pay any heed. This refusal coming about more for the fact that Arthur had immediately angered his father by asking for a loan; money which Alexander knew would end up just being gambled away. When night fell, Alexander Holder had checked on the security of the house, and whilst secure he is slightly perturbed by the fact that the new maid, Lucy Parr, has entered and exited the house without gaining permission. Holder goes to sleep, but during the night he is awoken by sounds of footsteps coming from his dressing room. Holder rushes into the dressing room, and there discovers Arthur with coronet in hand; although it turns out that three of the stones are missing from it. At the sound of the disturbance, Mary also enters the dressing room, and promptly feints in shock. Holder accuses his son of being a thief, a statement which seems to insult Arthur, and Alexander demands the return of the missing stones. Arthur’s reaction is a strange one, and asks his father for five minutes before he is arrested; Alexander refuses the request, perhaps fearing that his son would flee. 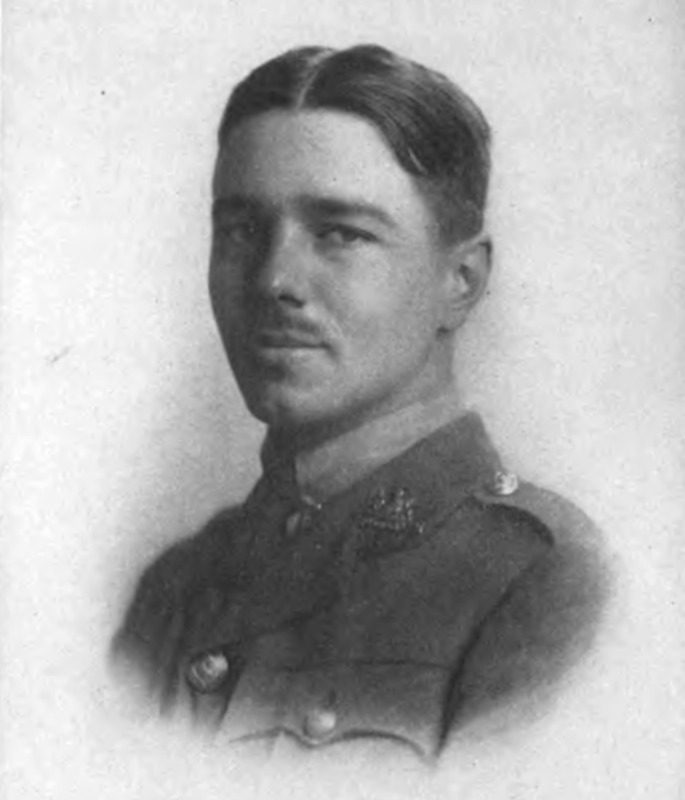 Arthur Holder then remains silent, and despite a thorough search of the house, the missing stones are not found. On the face of it, it seems an open and shut case, with Arthur Holder caught in the act; Alexander Holder seems to have no doubt about his son’s guilt, and yet Sherlock Holmes is not so sure. 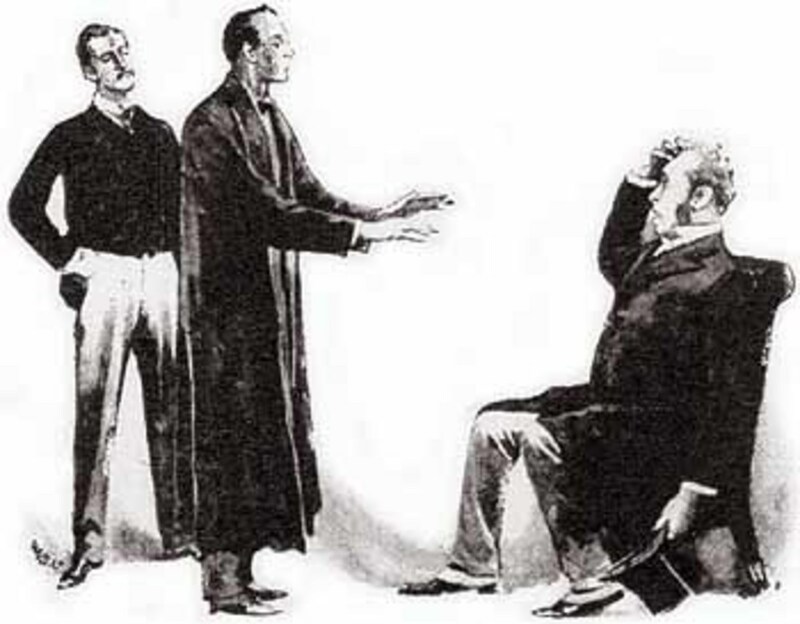 Holmes is immediately taken with the missing stones, for after all, if Arthur was caught in the act, then where could he have hidden the stones? Holmes sets about asking more questions about the household of the Holder home, and soon discovers that there is a regular visitor, a Sir George Burnwell, a man that Alexander Holder thinks has a bad influence on his son. Holder, Holmes and Watson then travel down to Streatham, an area near to Charing Cross, and upon arrival at Holder’s house, the detective starts to examine the ground around the building. 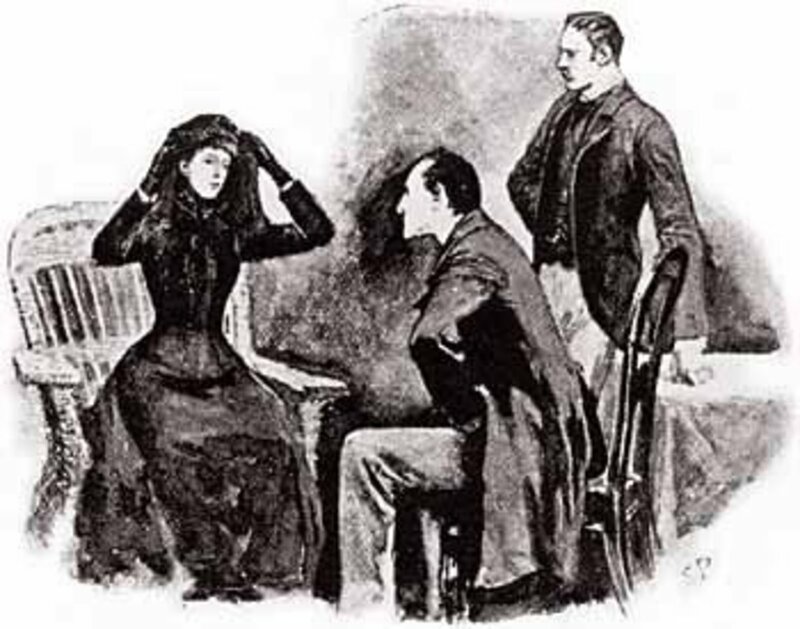 Once inside, Holmes then starts to ask questions of the household, and most notably of Mary. It is soon clear that Mary is trying to remove any suspicion from Arthur Holder, and is placing is directly on the shoulders of Lucy Parr, and her boyfriend, Francis Propser. Holmes though, seems to take little interest in what Mary is saying. The only thing that Holmes is really interested in is the fact that Arthur was bare foot when discovered. Holmes then also tests one of his theories, discovering that it would require quite some strength to break the coronet, something that would also be noisy. Holmes and Watson take their leave, and return to Baker Street, although, Holmes asks that Holder comes to see him next morning. It is apparent that Holmes has managed to solve the case, but as is the norm, the solution still eludes Watson. Once at Baker Street, it seems that there is still leg work to do, as Holmes twice departs from the rooms, including once in disguise; the detective continuing to keep Watson in the dark. 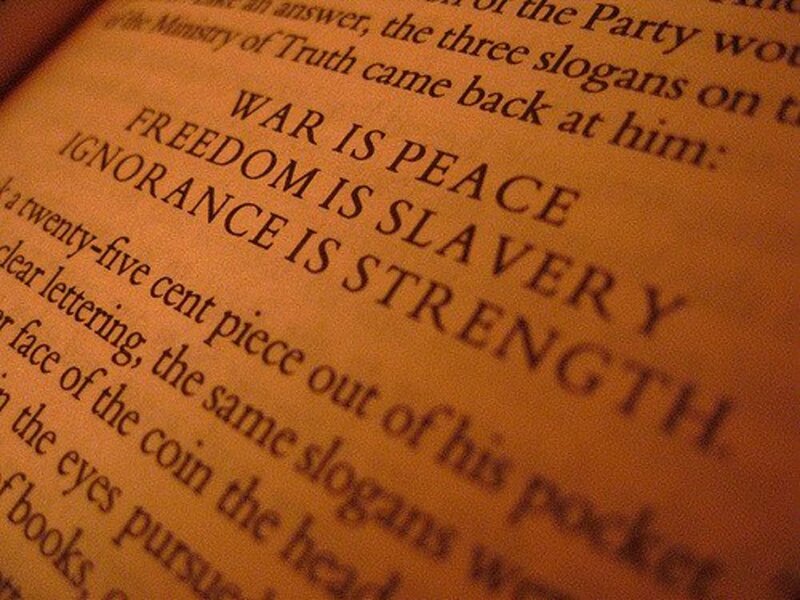 Indeed, Holmes is still absent when Watson goes to sleep. The next morning though, Holder arrives, and the banker is obviously even more agitated than he was the day before; it seems that Mary has run away, and has asked her uncle not to try and find her. This news doesn’t unsettle Holmes in any way, and the detective simply asks Holder for a cheque for £4,000 (£340,000 in today’s money) for the return of the missing stones. The banker immediately writes out the cheque, and with a flourish, Holmes produces the broken section of the coronet and the missing stones. 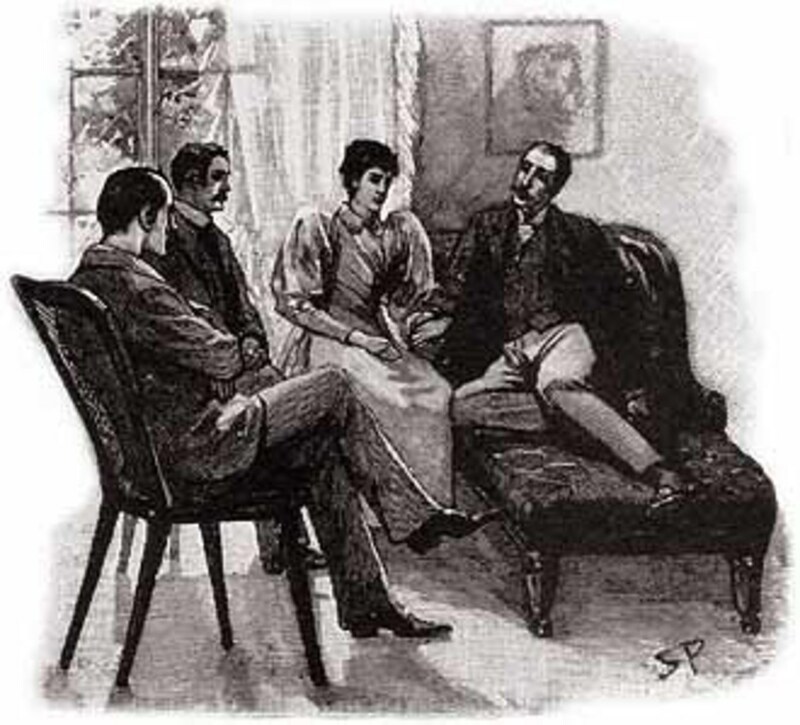 Holmes then sets about explaining the solving of the case, although the detective is insistent that Holder must apologise to his son. The real villains in the case were Mary and Sir George Burnwell; Mary having fallen in love with Burnwell as he had visited so often. Mary in fact had stolen the coronet from the bureau and passed it to Burnwell. Arthur Holder though had seen the passing of the coronet through a window, and had immediately, barefoot, taken after Burnwell. Arthur had caught up with Burnwell, and had managed to wrestle the coronet free from the thief’s grasp. Then Arthur had sought to return the coronet to the bureau without his father knowing; Arthur is after all very much in love with Mary, and is seeking to protect her. Unaware that part of the coronet is missing, Arthur is about to return the crown when he is discovered, and of course, he now recognises the trouble he himself is in. Arthur asks for 5 minutes, hoping that the stones have fallen where the struggle between him and Burnwell took place. Arthur also realises he cannot say anything without implicating Mary. Mary herself feints at the sight of the coronet in the hand of Arthur, for she knows that she and Burnwell have been discovered. Arthur’s innocence is obvious to Holmes, because he saw the evidence on the ground of a booted man waiting outside the house, and a barefoot man taking after him. Holmes has also managed to gather evidence against Burnwell by acquiring a pair of his old shoes. 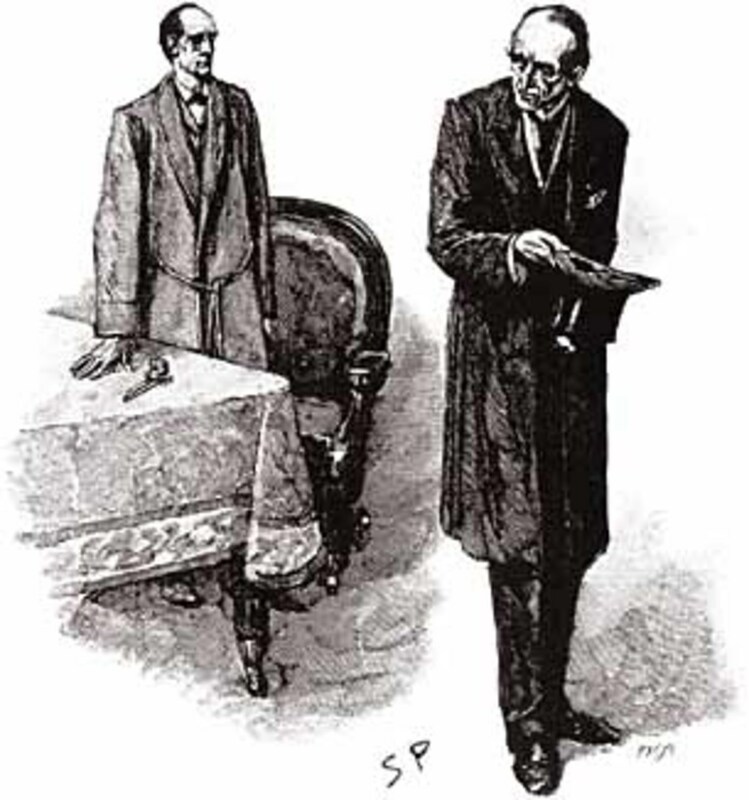 When Holmes confronts Burnwell about the theft, the detective finds that the thief has already fenced the stones, although Burnwell only received a fifth of what Holmes offered to retrieve the stones for. So, Holmes makes his way to the fence, and buys the missing part of the coronet, and the stones, for £3,000; the other £1,000 Holmes keeps, for his own living expenses. Holder agrees that he does indeed owe his son a heartfelt apology, but also asks whether Holmes would be able to trace his missing niece for him. Holmes of course, recognises that it would be an easy prospect to find Mary, she will after all be with Burnwell, but he refuses the job, as it will not be a worthwhile exercise.